I did it. 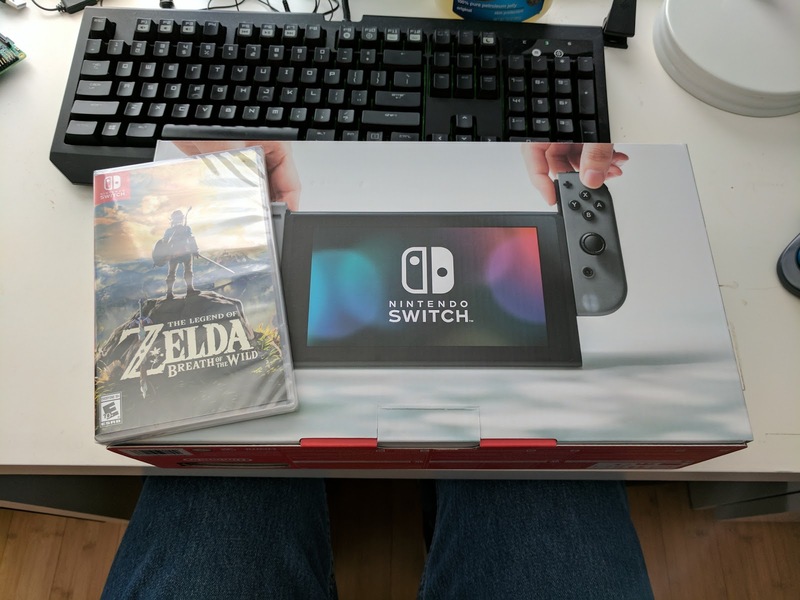 I bought a console for the first time in over a decade. The nintendo switch has been out of stock for the last few weeks, with insanely marked up prices online. Today I noticed on google shopping that a best buy nearby had some in stock. Strangely the best buy website said it was out of stock. So obviously I trusted google, called the best buy and yes she said they had a couple in stock! Having time off, pretty awesome. Having time off + zelda? Priceless. They had just had a shipment come in in the morning. I had called at 11am, and she said a couple were still left. I arrived at the store at 11:45am, and I bought the second-last one. Holy crap these things are selling like hot cakes. The Nintendo Switch's actual price is $299, this markup is insane. I'm glad I found it in a brick-and-mortar store for the original price. I bought the console for one reason and one reason only. Legend of Zelda : Breath of the Wild. Yes that's right, I bought a console for just one game. I'm splurging. Jaw surgery splurge if you will. I'll see you in a couple weeks. (Update 9:30pm) Zelda is amazing. Un-related, doing jaw exercises has been helping greatly. Whereas just two days ago I could barely get 1 finger in, I'm at almost 1.5 fingers now. Eating has become much easier. It really was just the orthodontist telling me it's okay to apply some finger pressure to the jaw, and that it is safe. 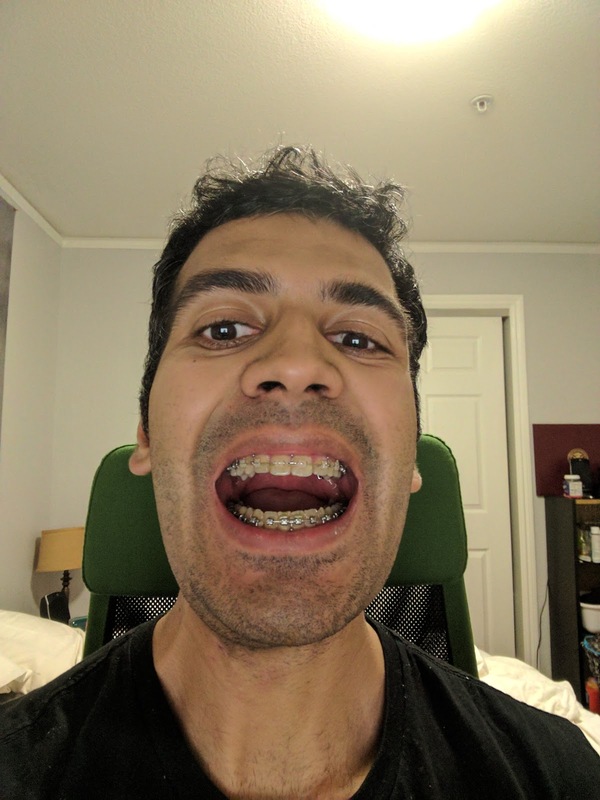 Your teeth look great Sam. Smart move: calling Best Buy. Glad you got the Nintendo switch 👍.